Willamette Falls is the second most powerful waterfall in North America and an important Oregon historical and cultural treasure. For more than 150 years, its awe-inspiring beauty has been closed to the public. Soon, it won’t be. 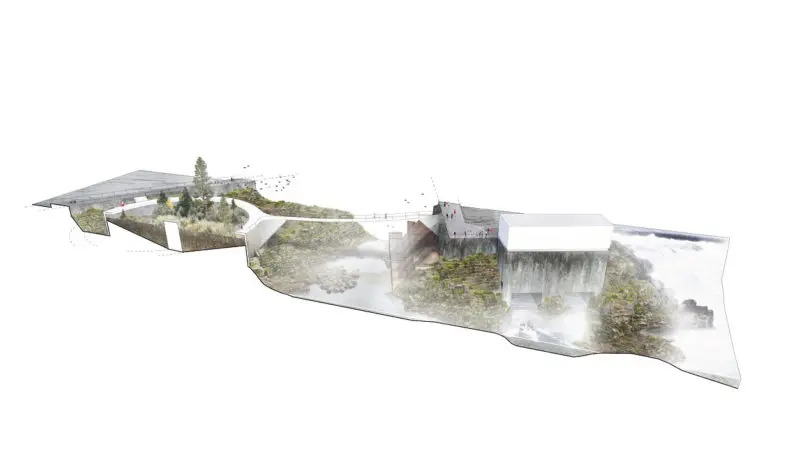 The first step in the Willamette Falls Legacy Project is already taking shape: a new riverwalk that connects historic downtown Oregon City to Willamette Falls along the Willamette River. In creating the riverwalk, the project partners are transforming this abandoned site into a world-class public space.